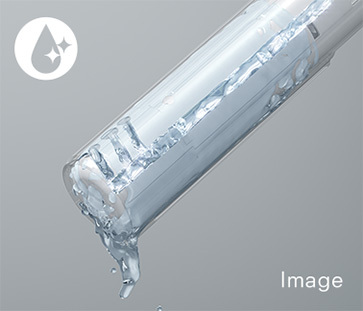 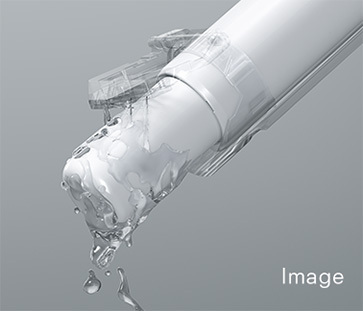 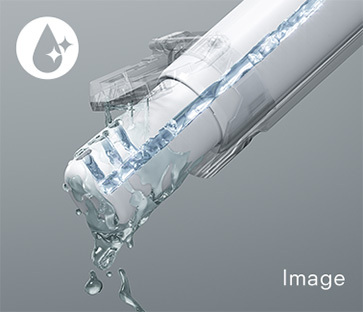 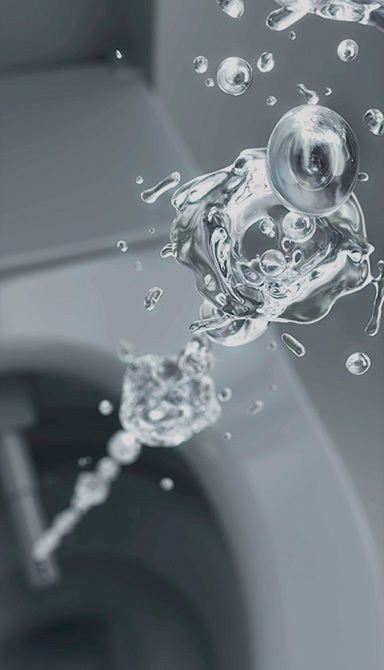 TORNADO FLUSH not only cleans more effectively, it does so quietly using less water. 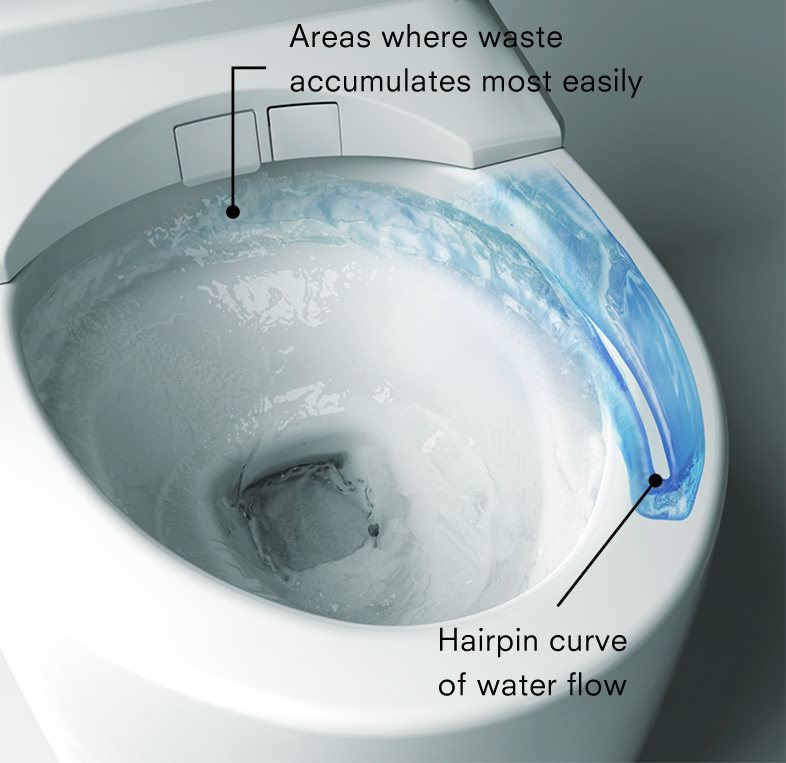 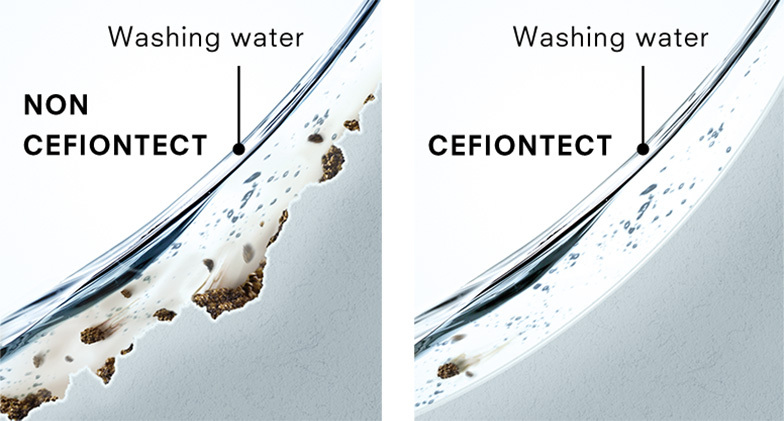 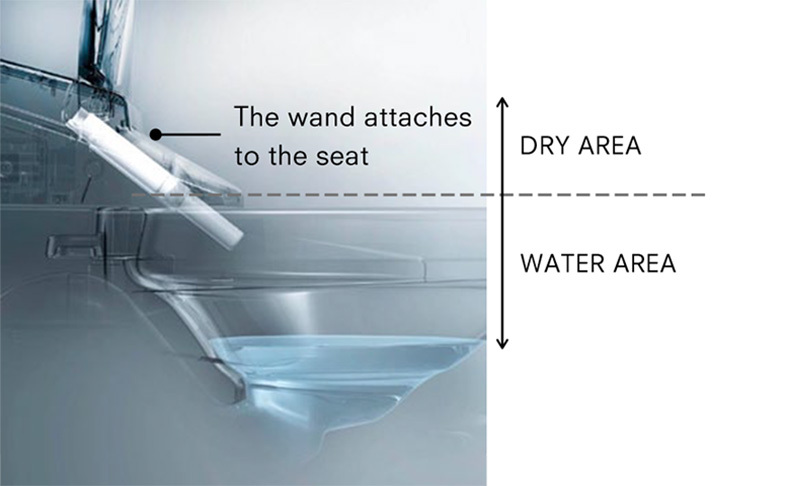 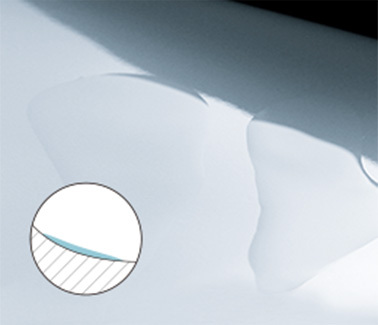 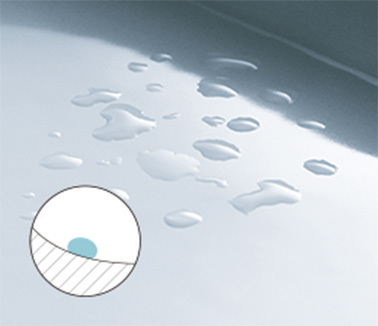 Powerful streams of water merge and swirl 360 degrees, washing every spot inside the RIMLESS toilet bowl. 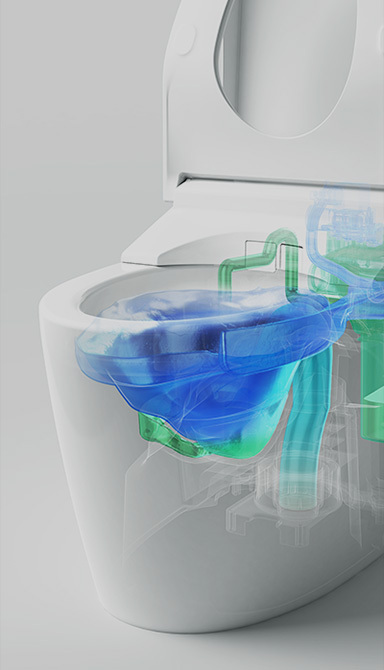 TORNADO FLUSH’s dynamic waterjet discharges from near the front of the toilet bowl, travels in a narrow channel along a hairpin curve, and with sustained water pressure thoroughly cleanses the areas where waste accumulates most easily—and then washes the entire bowl clean. 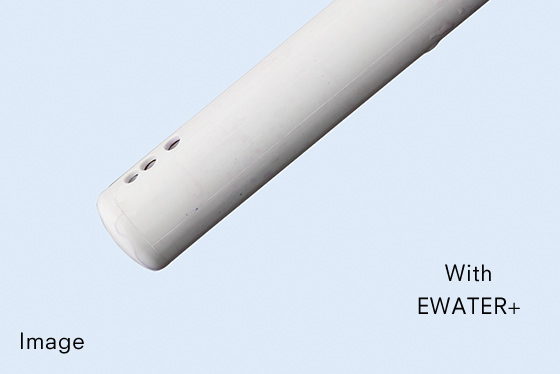 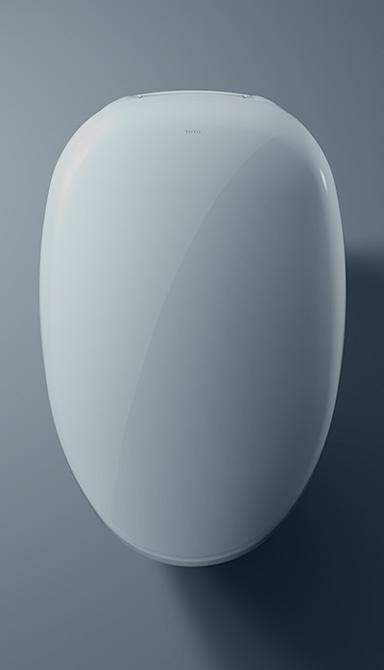 Exquisitely high-quality ceramic makes this innovative design possible. 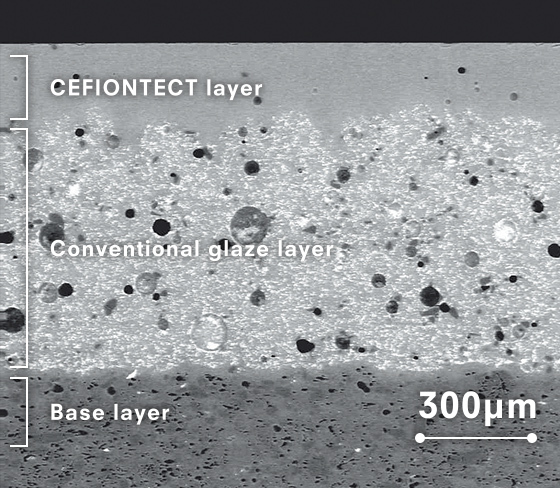 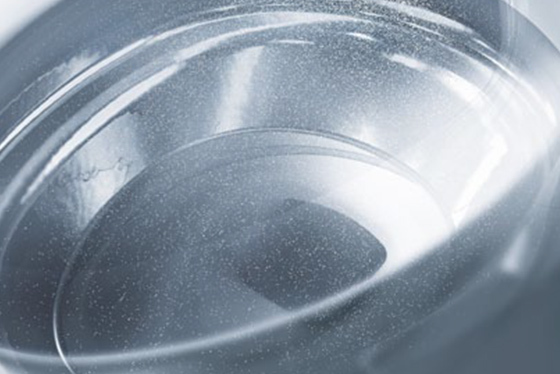 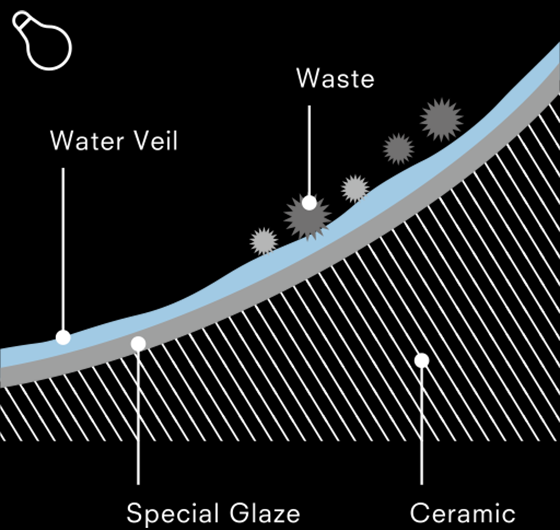 The unique RIMLESS design not only leaves no place for waste and germs to hide. 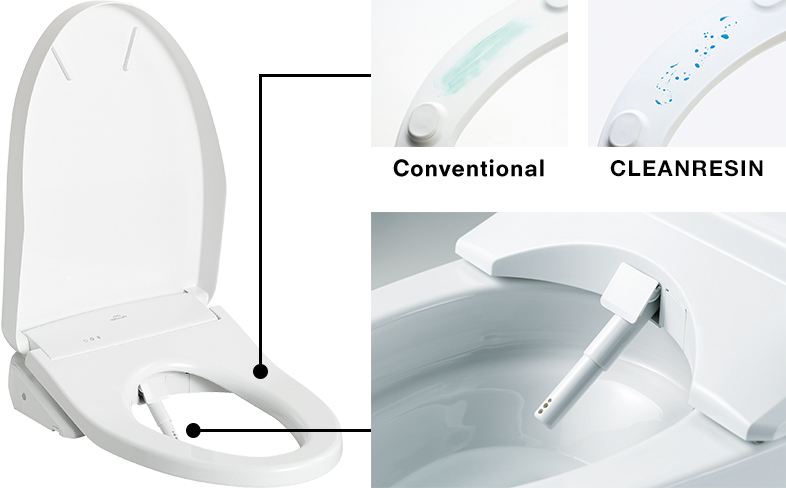 It also makes for a much easier to clean toilet. 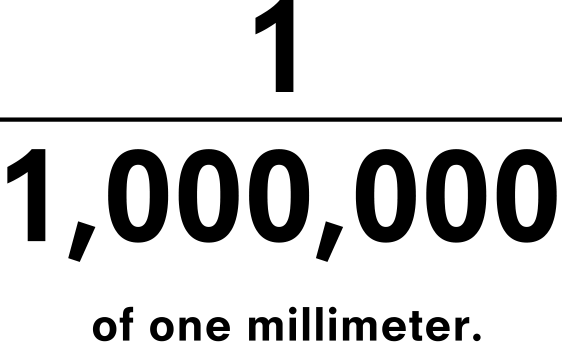 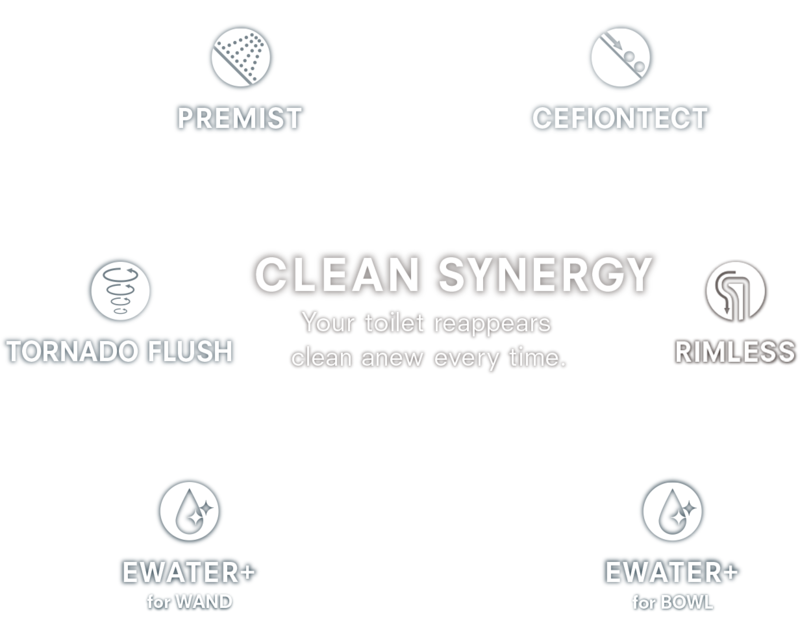 has the natural power to decompose waste. 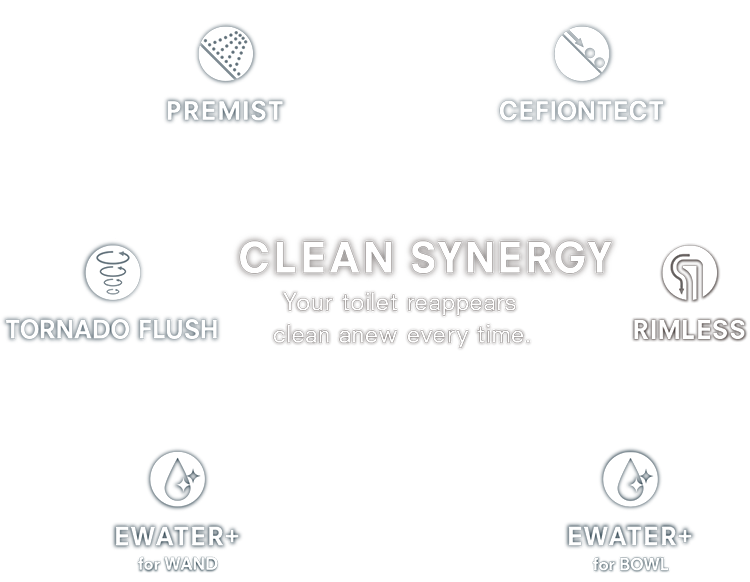   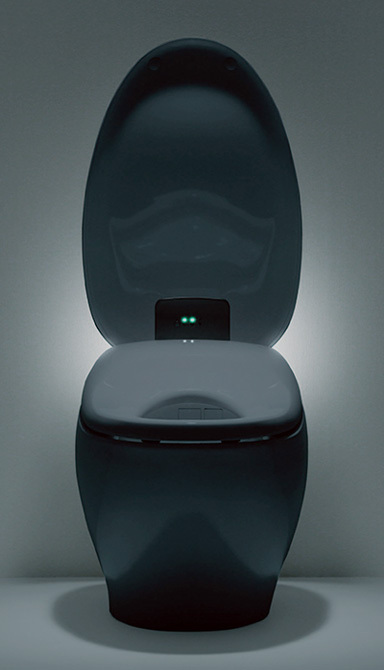 ACTILIGHT elevates toilet cleaning to an extraordinary new dimension. 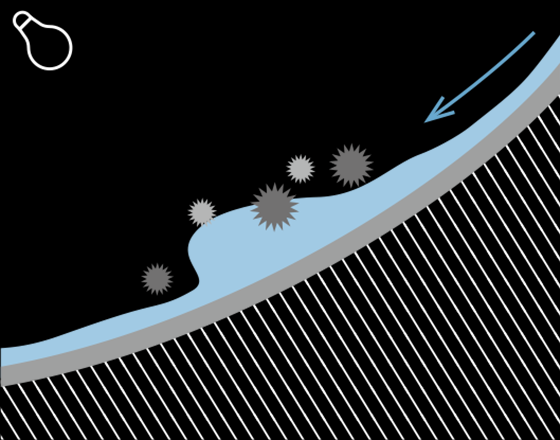 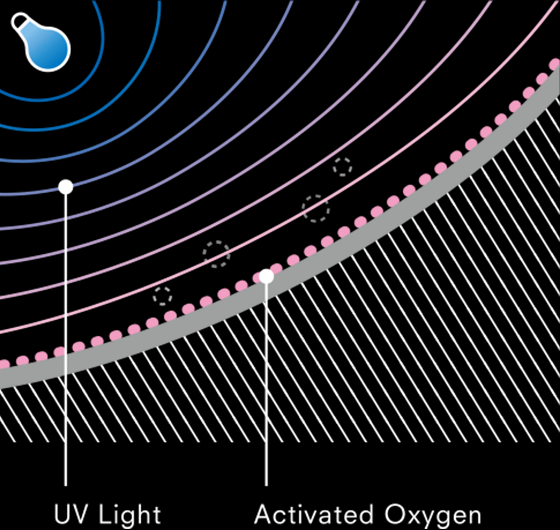 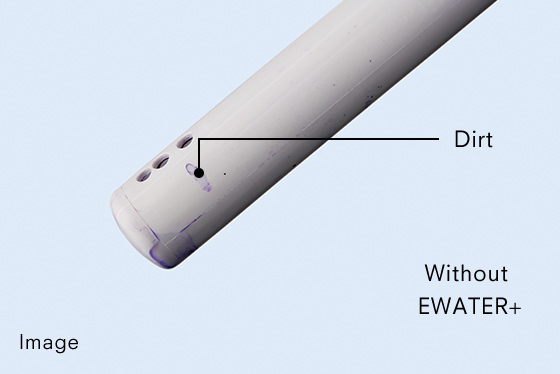 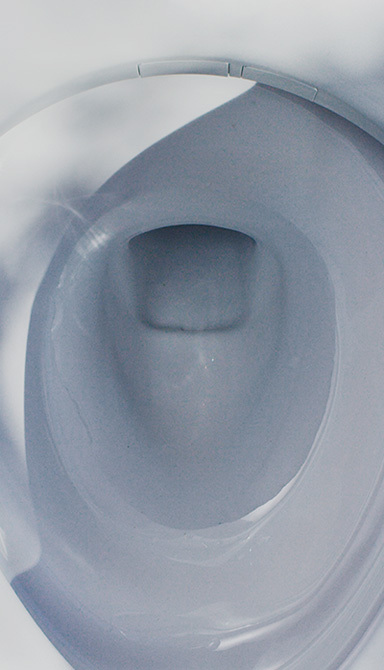 Comprising a bacteria-neutralizing ultraviolet light and a titanium dioxide-fired toilet bowl, this extraordinary technology initiates a photocatalytic process that breaks down even microscopic waste particles. 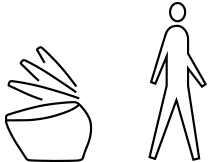 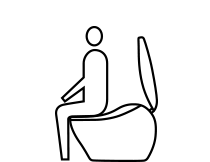 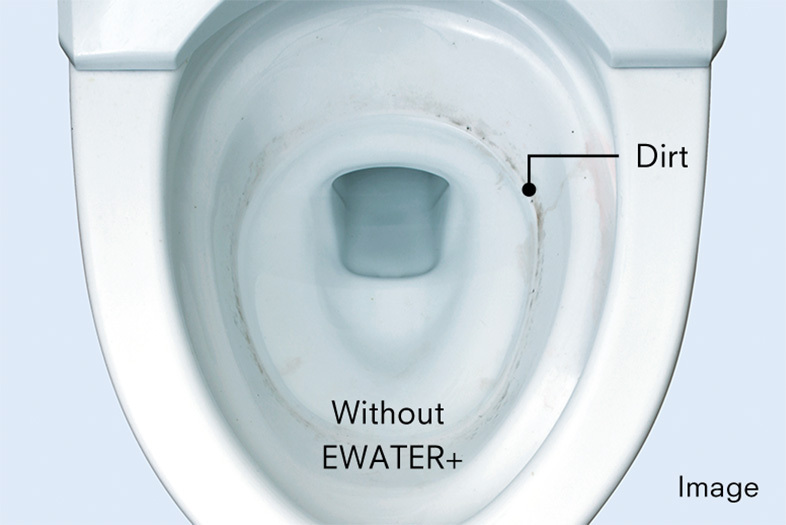 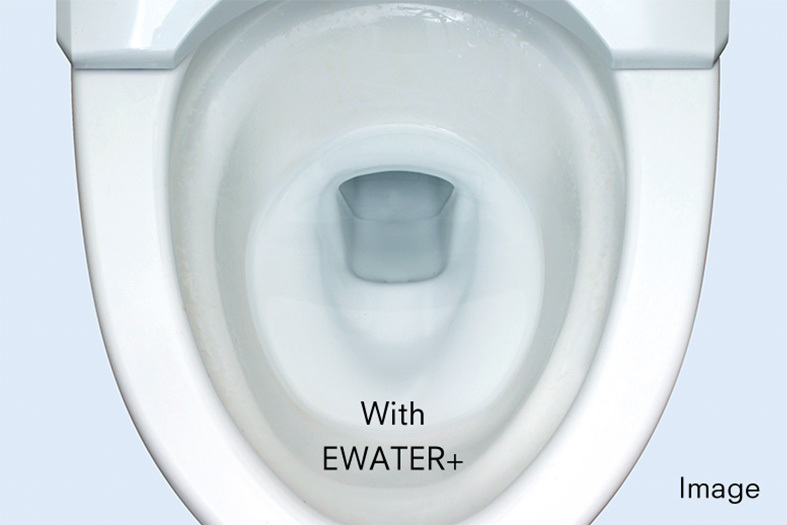 Titanium dioxide attracts water to the surface of the toilet bowl, setting the stage for photocatalysis. 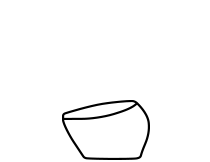 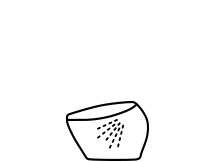 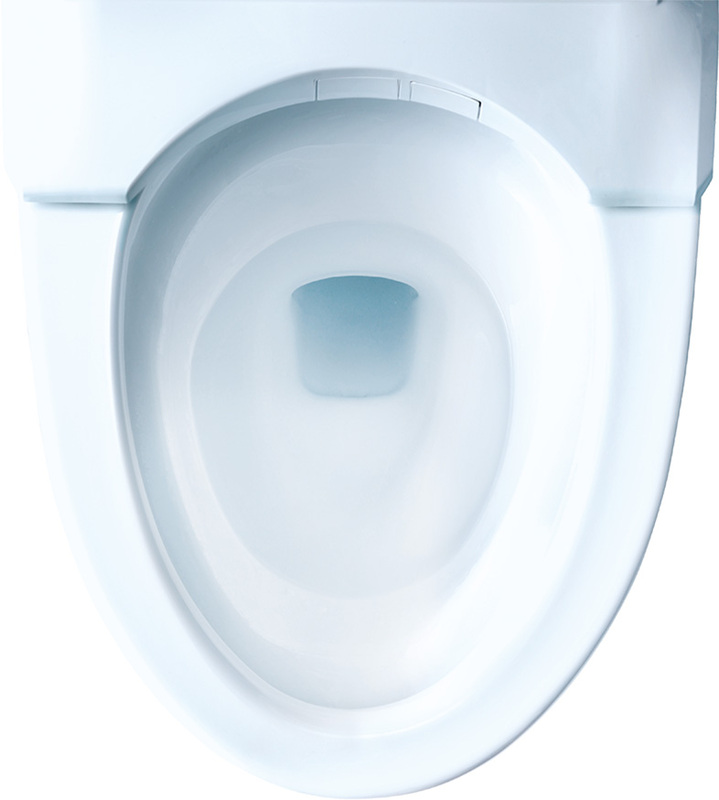 The toilet bowl's photocatalytic glaze layer also contains zirconium oxide, which provides its extreme durability. 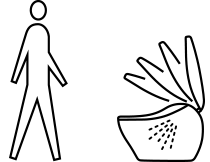 Every moment of every day, the experience of life arising clean, comfortable and always inviting. 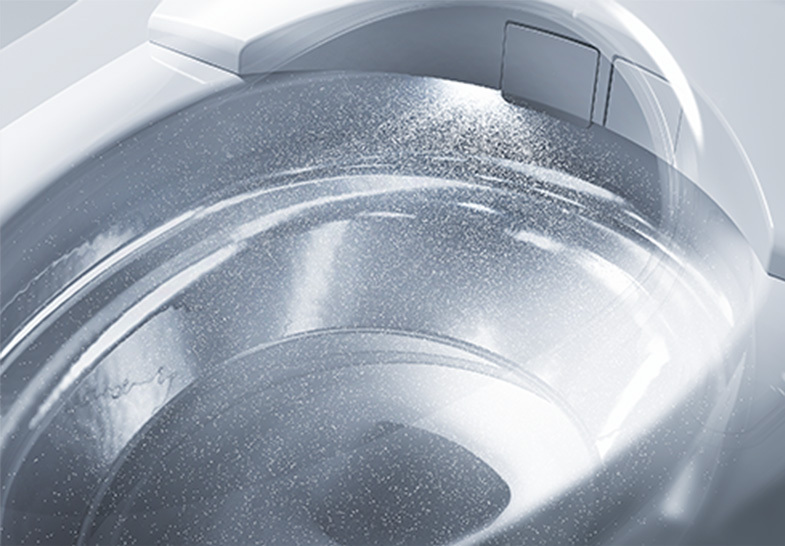 Constantly at work, automated technologies maintain hygienic conditions, keeping surfaces clean and providing a place that is inviting and comfortable.